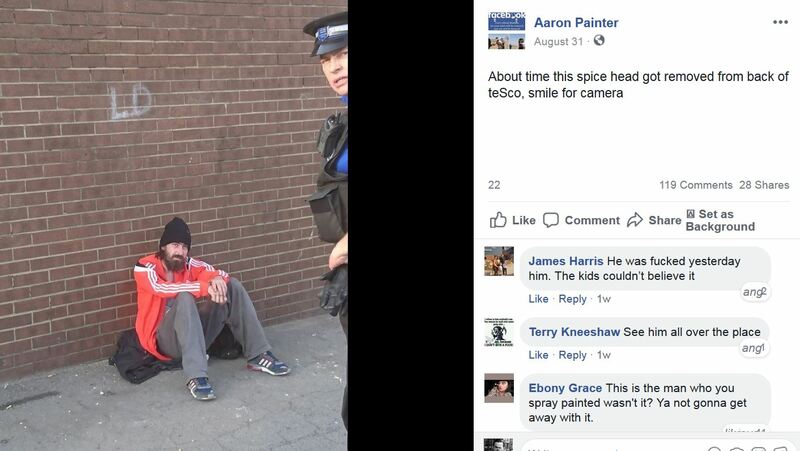 A MAN who launched a spray paint attack on homeless man Michael Cash has today been sentenced to an 18 month community order. Aaron Jones, of Balmoral Road, Middlesbrough, appeared at Teesside Magistrates Court today to face charges of common assault and criminal damage following the attack early last month. 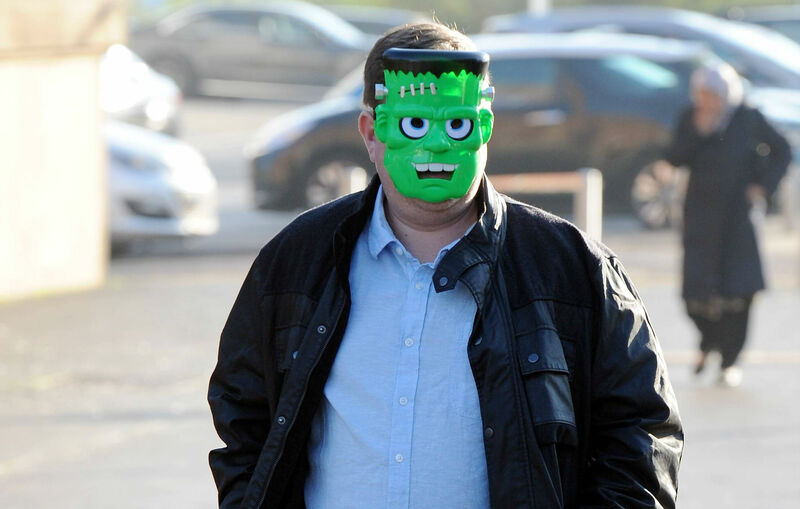 The 33-year-old, who turned up for the hearing with his face hidden by a child’s Frankenstein mask, pleaded guilty to both charges. Michael Cash, 32, was found dead in a cemetery three days after the assault which happened near Tesco Express in Normanby High Street, Middlesbrough. Chairman of the bench Stephen Walker sentenced Jones to 18 month community order, 180 hours unpaid work and 20 hours of rehabilitation activity days. He was also ordered to pay £85 court cost, £85 victim surcharge and £100 compensation for the damage. Cleveland Police said Mr Cash’s death was not treated as suspicious and was not connected with anything which happened on September 9 outside the store. Police officers attended court today in case of a disturbance in the public gallery. A CUNNING rogue staged a bogus 21st birthday bash in a staggering bid to cheat the law and escape justice. Geoffrey Leigh Ewart went to extraordinary lengths to wriggle out of trouble for a Middlesbrough street brawl. He faked his own 21st birthday party and falsified photographs to prove his arrest was a case of mistaken identity. 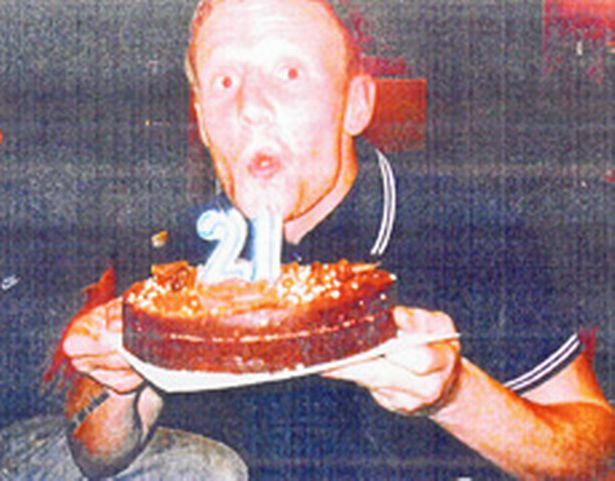 He tried to make the camera lie with pictures showing himself wearing a 21st birthday badge and blowing out candles on a 21st birthday cake. The snaps were really taken 18 months or more after his real 21st birthday celebrations. His audacious but doomed attempt to pull the wool over the courts’ eyes backfired spectacularly with a long prison sentence yesterday. A well-timed pub refurb and detective work rumbled Ewart’s elaborate deception. Teesside Crown Court heard how Ewart, now 24, was caught in a melee near Albert Bridge at about 2.15am on September 26, 2008. Five police officers identified him from CCTV footage as the man headbutting and kicking another unidentified man for no apparent reason. When interviewed Ewart said he wasn’t there and “it didn’t even look like me”. He produced the photographs which he claimed would prove his innocence – some supposedly taken around his 21st birthday in May 2007, months before the street fight. They showed him with a tattoo on his right arm – unlike the man in the CCTV film. The scam was undone with police inquiries at the Norman Conquest pub in Normanby, where the “birthday” pictures were taken. The pub owner said the photos must have been taken after refurbishments, which took place after Ewart’s fight. Other photographs were doctored with dates superimposed on to them. Ewart, of Grisedale Crescent, Grangetown, admitted affray and attempting to pervert the course of justice. He also admitted an unprovoked actual bodily harm assault on a man at the Garage pub on January 16, 2009. He repeatedly punched Ryan Leopard-Sheffield leaving him with cuts, bruises and a chipped tooth. The judge, Recorder Jonathan Sandiford, saw it was Ewart’s subterfuge which earned him the jail term rather than the violence. He said: “I’m afraid this was not the panicked reaction of somebody giving a false name to the police station. He said it was sinister that Ewart’s solicitors were given the names of people in the photographs to seek statements backing up his lies. “It’s plain to me that to have any chance of success this scheme would have had to have involved persuading those individuals to give false evidence to say that that was your 21st birthday party. “In fact, as we know now, it must have been staged at a later point. “It has been said many times that the court process must be protected,” added the judge. Ewart, who had only one previous conviction, was jailed for two-and-a-half years, his first prison sentence, including 18 months for the deception. Jonathan Walker, defending, said: “It appears to be a fairly determined attempt to warp the smooth running of the criminal justice system. “The ill-judged stupidity started to unravel when he approached members of his family who quite properly refused to become involved in their son’s folly. He added Ewart apologised for his “drunken and thuggish activities”, was not inherently violent and had not been violent in the last 18 months. Ewart was otherwise amiable, industrious, hard-working with strong family support and character references. Mr Walker said on the day of the 2008 affray Ewart had been to the funeral of a friend whom he had found dead. A banned drink-driver who seriously injured two teenage girls in a seaside horror crash has been jailed. Geoffrey Ewart, from Grangetown, bombed around Scarborough in a BMW 330 when the car careered off the road and tumbled down a steep embankment. The 30-year-old – who ignored his passengers’ frantic pleas to stop – ran from the wrecked vehicle, leaving the two girls trapped inside. Prosecutor Andrew Semple said one of them suffered catastrophic injuries including broken bones and was left immobile for weeks. Mr Semple said the car, which had come off its wheels, had £12,500 of damage in the smash on Castle Road on June 24 last year. Police found Ewart at a nearby taxi rank at about 1am. Ewart, of Grisedale Crescent, was breathalysed three hours later by which time his alcohol level had dipped, but experts worked out that at the time of the accident he would have been about one-and-a-half times over the drink-drive limit. The offshore oil rigger admitted causing serious injury by dangerous driving, aggravated vehicle-taking, drink-driving, having no insurance and driving while disqualified. York Crown Court heard that the BMW belonged to Ewart’s father and that his son had taken it without his consent before setting off for Scarborough. After picking up his passengers, he began to drive “very fast”. He rejected their pleas to let them out before the car left the road and clattered through bushes as it rolled down the embankment. The older girl suffered a broken shoulder and fractured pelvis. Her injuries were so serious she was transferred to James Cook University Hospital in Middlesbrough where she underwent several operations, had two blood transfusions and remained bed-bound for three weeks. It was another six weeks before she could move without a wheelchair or crutches. She was left scarred for life with a 14cm injury on her arm. The younger girl suffered whiplash injuries and had to undergo 10 weeks of physio. 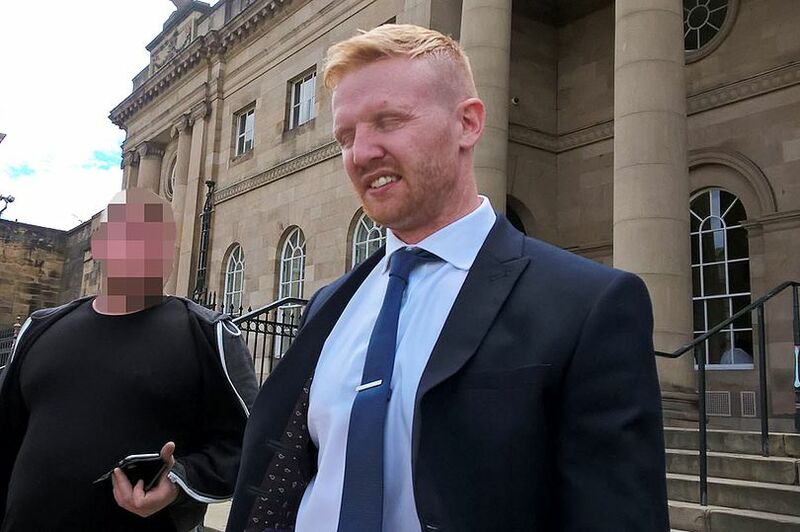 Ewart had three convictions including one for violence and perverting the course of justice in 2010, when he was jailed for punching a man repeatedly during a street brawl in Middlesbrough. Ewart tried to evade justice on that occasion by faking his own 21st birthday party and using falsified photos from the pub ‘shindig’ in a forlorn attempt to convince police he was elsewhere at the time of the incident. Following his release from prison in December 2014, he was caught drink-driving and given a 12-month ban. Ewart’s barrister James Kemp said the horror crash in Scarborough followed a “night of sheer stupidity and madness”. But Judge Richard Wright QC slammed Ewart for his “dangerous, show-off” driving and “callous” decision to leave the girls in the car as he fled the scene. “You have shown little or no remorse towards your victims,” he added. Ewart was jailed for two years and eight months, and given a five-year driving ban. A man wearing a T-shirt seemingly proclaiming him to be a far-right group’s “soldier” was nicked after police caught him with a £1.50 knuckleduster. Officers stopped Middlesbrough’s Mark Trippett while he was wearing a “right wing” North East Infidels shirt. However, Trippett – who has EDL tattooed on his neck – insist he doesn’t share their views. And he’s been spared prison for carrying the knuckleduster after a judge heard there was “no reason” to stop him, other than for his shirt. Police used stop and search powers as Trippett walked along Corporation Road in Middlesbrough on July 16. Teesside Magistrates’ Court heard on Wednesday that he had forgotten it was there. “He said he didn’t intend on using it and it was a daft mistake,” added the probation service. He handed the knuckleduster straight to police, with his solicitor adding it had been a “serene” incident. “There were no threats to police and he handed the weapon straight over,” he said. 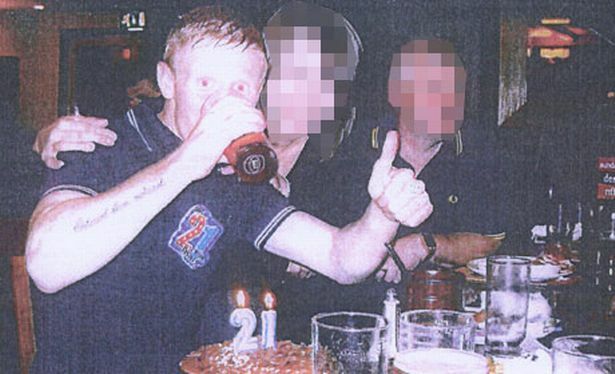 Trippett, 35, of Carisbrooke Avenue, Thorntree, had been wearing the North East Infidels shirt – emblazoned with the word “soldier” – when he was arrested. The group marched alongside EDL and National Front members in Stockton last year. 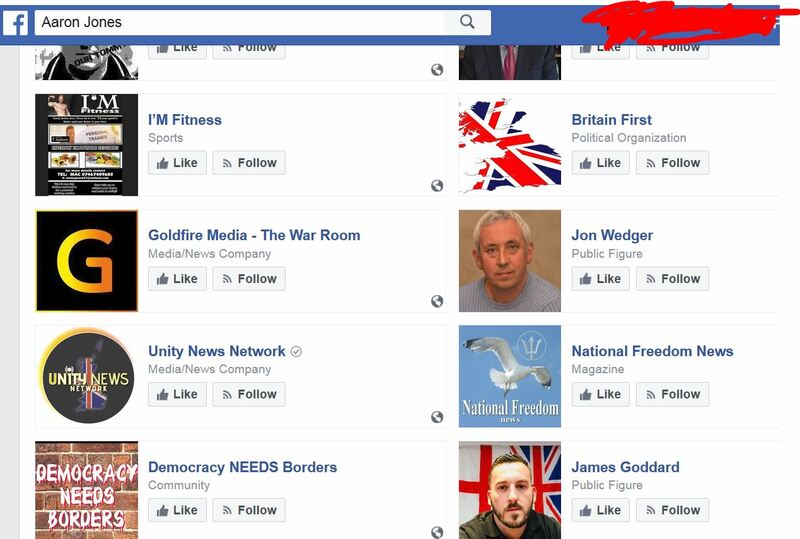 The Teesside branch claim on Facebook the group is a “family”, but in court they were dubbed “right wing”. However, Judge Martin Walker questioned if Cleveland Police had simply targeted him because of his shirt, with the court hearing there had been “no disorder” in the area to warrant stop and search laws being deployed. 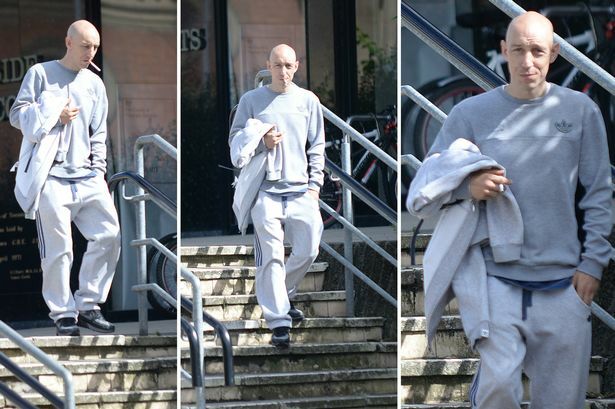 Tracksuit-clad Trippett had pleaded guilty to possessing an offensive weapon, which he claimed he’d bought for £1.50. Judge Walker warned the offence would almost always carry a jail term. But he instead handed him a one-year community order, but not without dishing out a dressing down. “Certainly (the knuckleduster) is only used to cause serious harm to another human being,” added Judge Walker. Cleveland Police declined to comment. The weapon will be destroyed. A robber who held up a late night store telling the terrified, lone assistant “I’ve got a gun” was jailed for three years. Kenneth Graham, 21, arrived at the Premier shop in Middlesbrough on his bike at 9.30pm as assistant Ann Wilson was outside taking a cigarette break. As she went behind the counter to serve him he demanded she hand over the money saying: “I’ve got a gun and I’ll shoot you”. He was standing in front of her with his right hand inside his jacket rummaging around for something. Prosecutor Rachel Masters told Teesside Crown Court that Miss Wilson started to panic and she hit the wrong button on the till, but eventually she took out a handful of £5 and £10 notes. Miss Masters added: “She was crying uncontrollably thinking that he had a gun. “She saw a man at the cash machine and he called the police. Graham was identified as a possible suspect and he was positively identified soon after. “She said later that she recognised him as the robber of the store having known him in the area where she lived. “The incident left her extremely upset and scared, worrying if the person knew her and came back. “She said ‘I feel sick about the whole incident’. When she was going to be a witness she asked for special measures. 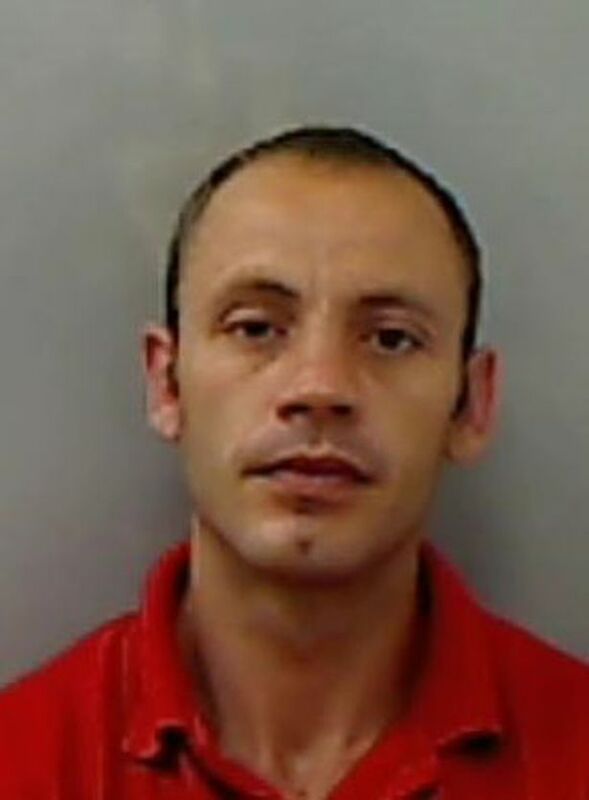 Graham had 16 convictions for 29 offences including drugs,assault theft and burglary. Jim Withyman, defending, said that Graham came from a respectable family but he had been threatened over a drug debt after he turned to drugs while mourning the deaths of two close friends. He said that Graham, whose parents were in court supporting him, wished to apologise through him to Miss Wilson for the terror and upset he caused to her. Judge Michael Taylor told Grham: “She is finding it very difficult to come to terms with what happened. “People like her perform a valuable serviced to the public, and the message has got to out that those who commit these sort of offences will always received substantial prison sentences. 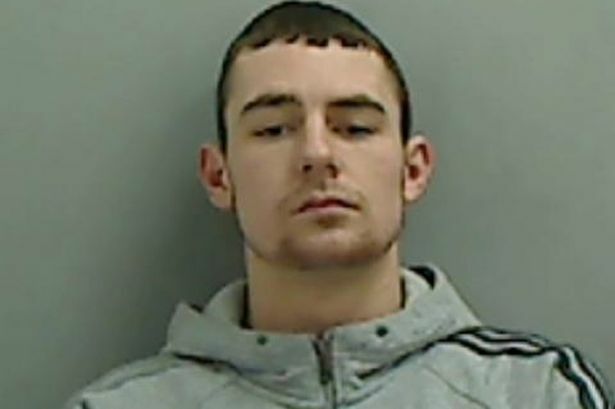 Graham, of Ottawa Road,Middlesbrough, was jailed for three years after he pleaded guilty to the November 3 robbery of the store on Longlands Road, Middlesbrough. 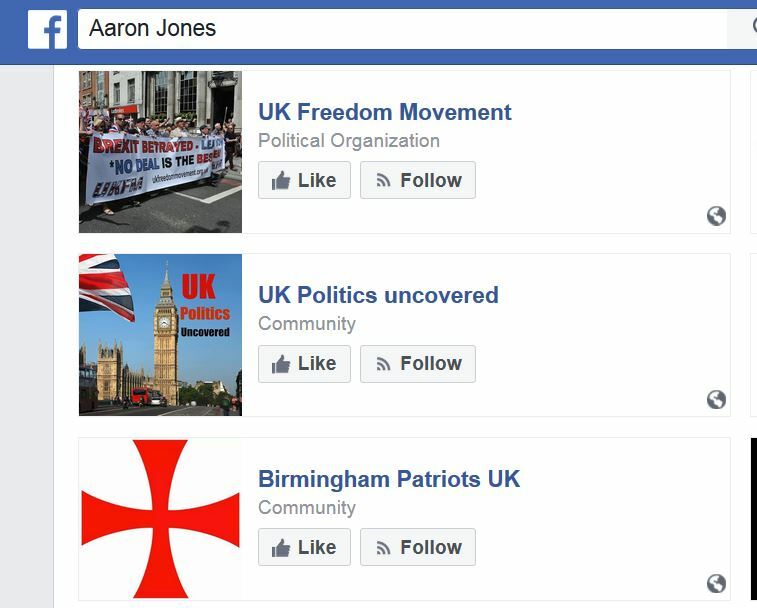 He was jailed last year for his role in the EDL rioting at the Birmingham demo in 2013. More info here. 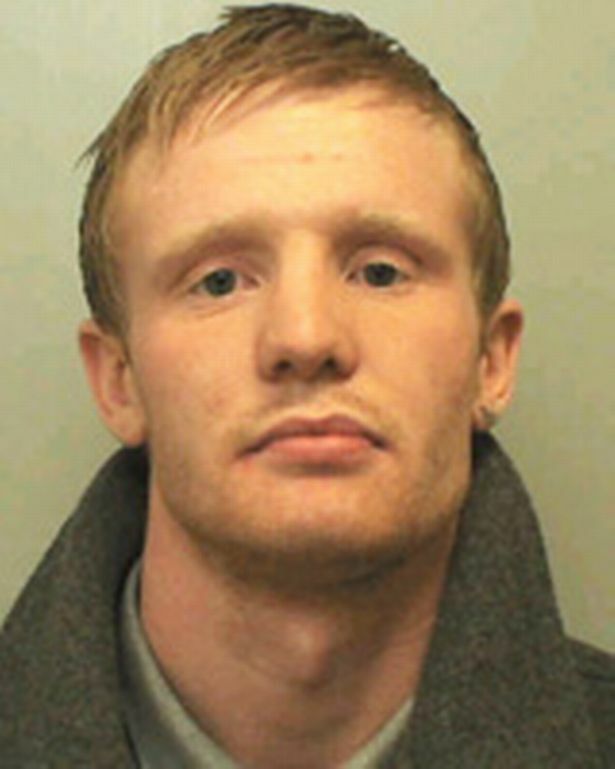 Stuart Peter Leyshon, 35, pummelled a man as he lay defenceless in a friend’s home in the early morning. A former amateur boxer whose powerful blows broke a man’s face as he slept on a sofa was jailed today for 11 years. The attack devastated the victim’s life, leaving him disabled, missing his left cheekbone and in constant pain. The horrific multiple fractures “detached” the upper part of his face, Teesside Crown Court heard. Doctors warned him he could die if hit again – and the depressed victim later felt he should have died in the assault. Leyshon climbed in through the living room window of an Eston home and launched the attack on the sleeping man. The vulnerable victim was found coughing up blood and blood pouring from him. One witness was sick after seeing the injuries. Prosecutor Adrian Dent said: “He’d been hit so hard that his face had been fractured and those blows had detached the upper jaw on the left side from the surrounding facial bones. Leyshon had walked to the home on Bankfields Road, Eston – on the same terrace as his own – and attacked the sleeping man after learning that his brother had a “run-in” with him. A witness heard four thumping sounds outside after Leyshon crept in between 8 and 8.45am on August 31 last year. The victim of the assault, who had no memory of the violence, had multiple facial fractures and underwent a five-hour operation at James Cook University Hospital. Surgeons put wire into his face and fixed the damaged bone with six titanium plates. He will need further surgery. After the attack, Leyshon “transformed himself” and misled paramedics claiming he had simply found the man in his badly injured state, said Mr Dent. He persisted in these lies to police, saying he tried to help the stricken victim and did not assault him. Mr Dent said Leyshon portrayed himself as a “hero” in a later defence statement. Leyshon said he administered first aid as he was a trained fireman and helped the paramedics carry a stretcher. The attacker, now of Appletree Gardens, Ormesby, Middlesbrough, began a trial denying causing grievous bodily harm with intent. He changed his story, admitting he had lied and was responsible for the injuries, but claimed self defence, alleging the victim swung punches at him. After the opening of the trial he changed his mind and finally admitted the serious assault. A jury formally found him guilty following his own confession to the crime. His previous convictions included assaulting a PC. Robert Mochrie, defending, said Leyshon was “terrified” of his first prison sentence. He said the defendant apologised to the victim for his “totally unacceptable” actions and the level of injury he caused. He said Leyshon had been horrified, scared and reluctant to face up to the consequences of his behaviour. He told how Leyshon reacted inexcusably to news of a “fracas” involving his brother. Leyshon was a boxer in his teens but since had mental health difficulties and was in no fit state to train for the ring, added Mr Mochrie. He also said Leyshon’s mother was terminally ill with cancer and he expected to lose her while he was in prison. Judge Deborah Sherwin said Leyshon lost his temper after hearing of a minor incident and left his home to “extract his revenge”. And with the powerful legacy of his boxing career, he struck blows which were “forceful in the extreme” – equal to the use of a weapon. “Those blows caused devastating injuries,” she told him. “The effect on him has been devastating. He’s been left permanently disabled as a result of these injuries. She jailed Leyshon for 11 years and gave him an indefinite restraining order banning him from approaching or contacting the victim. Speaking after the hearing Temporary Detective Sergeant Helen Wilson from Cleveland Police said: “Firstly I would like to pay tribute to the victim and his family who have shown great dignity and bravery throughout this traumatic episode. “I welcome the sentence issued today. This reflects the severity of this attack on a sleeping man, one which led to horrific facial injuries. A man who was arrested during an English Defence League protest has been given a 12-month conditional discharge. 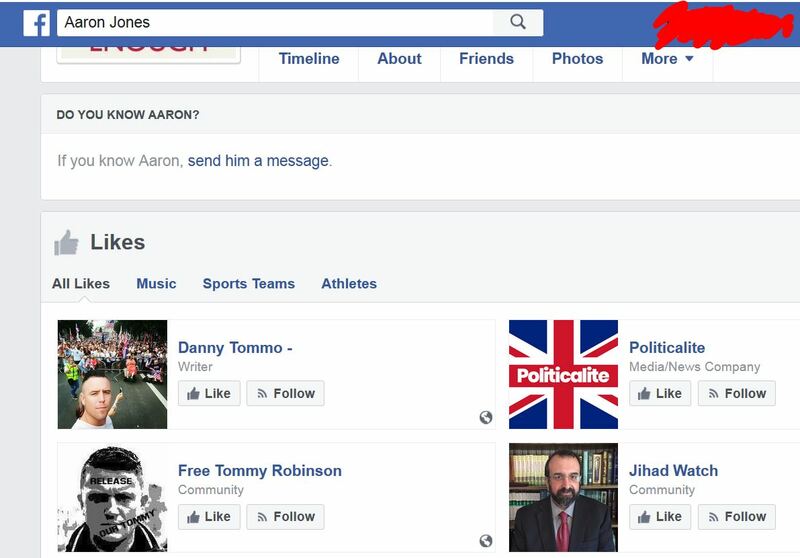 Jamie Ray appeared at Teesside Magistrates’ Court on Wednesday, August 27, where he was sentenced for a charge of drunk and disorderly – an offence he was arrested for during an EDL protest in June. The 26-year-old, of Park Road North, Middlesbrough, was also charged with two counts of failing to surrender to custody at court – on July 28 and July 23 – using threatening or abusive words or behaviour and possessing a Class B drug – both on July 9. A charge of possessing a bladed article in a public place was withdrawn. As previously reported about 350 people took part in a demonstration on Corporation Road, Middlesbrough town centre, while a further 150 people took part in a counter demonstration, both on June 28. More than 300 police officers were involved in an operation during the march and counter demonstration, which had been planned for a number of months. Ray was one of two men arrested on the day. The other – Andrew David Johnson, 37, of Moorcock Close, Eston – previously pleaded guilty to being drunk and disorderly. He was fined £35 and ordered to pay a £15 victim surcharge. However, Ray initially failed to turn up to court following his arrest. A warrant without bail was then issued for his arrest.